Many show attendees also enjoyed hospitality from exhibitor NOMA last night which celebrated its 80th year with a lavish party in the Royal Hall of the Harrogate Convention Centre. Entertainment included top billing comedian Dara O’Brian, singing waiters and a live band. Blossom Bakery is a new company specialising in Children’s Bake at Home Boxes. These are designed to encourage children to be creative, to follow instructions and most importantly, to have fun in the kitchen with family and friends. 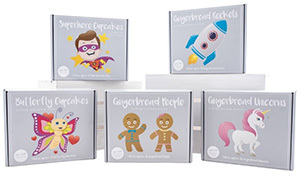 The boxes include equipment, an apron, step-by-step guide, all dry ingredients measured out and ready to use, handmade fondant decorations and colouring sheets and pencils to keep children occupied while their treats bake. 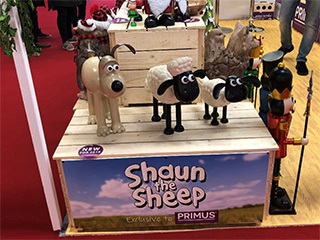 Primus, which prides itself on bringing something new to the market and specialising in quirky gifts for the home and garden, proudly presents its latest ‘must have’ addition to its Aardman Animations Collection – Gromit. The quality metal sculpture joins the hugely popular Shaun the Sheep and Timmy. Also not to be missed are Bobbie Buddies - adorable garden sculptures that the whole family will love. Characters include Sammy the Schnauzer, Pablo the Pug and Darcey the Dachshund. 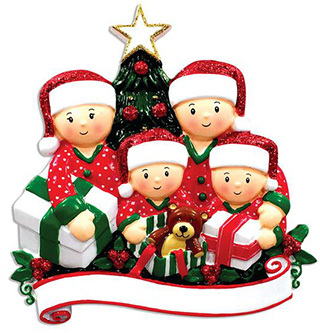 PolarX Ornament & Gift is a holiday gift company specialising in ornaments, stockings, table toppers and other seasonal good which can all be personalised. With over 1300 SKUs to choose from, and multiple display options, PolarX can customise a holiday programme to suit your growing company’s needs.